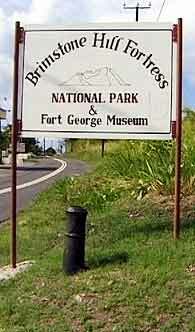 The Fortress, constructed intermittently between the 1690s and 1790s, is of singular importance as being the remains of a large, complete military community of the 18th century. As such, it is a veritable time capsule of international significance. 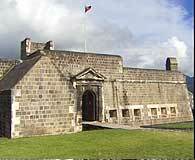 The prominent Citadel is one of the earliest and finest surviving examples of a new style of fortification known as the 'polygonal system'. Brimstone Hill is nearly 800 feet high with steep and precipitous slopes which had to be tamed by the disciplines of engineering and architecture, and at the risk and probable loss of human lives. 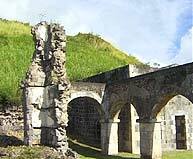 The walls of the structures are predominantly of stone, labouriously and skilfully fashioned from the hard volcanic rock of which the hill is composed. 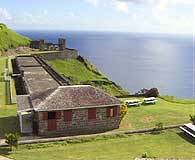 (The black volcanic stone was then better known as brimstone, hence the name of the fortress). 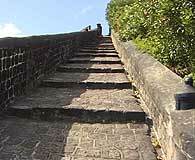 The mortar to cement the stones was produced on site from the limestone which covers much of the middle and lower slopes. 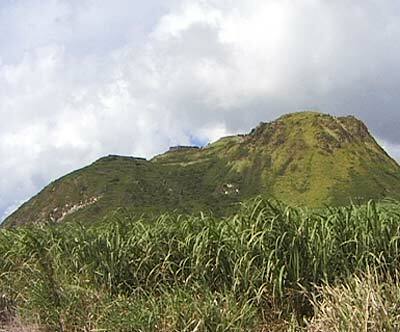 The Fortress is virtually a man-made out growth of the natural hill. 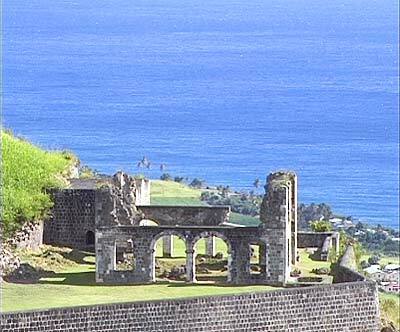 The physical location of the Fortress presents attractive panoramic vistas of forested mountains, cultivated fields, the historical township of Sandy Point, and neighbouring Dutch, English and French islands across the Caribbean Sea. 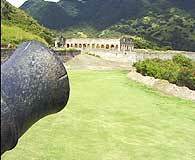 It commands astounding views of the Caribbean, including Nevis, Montserrat, Saba, St. Martin and St. Barts, and sprawls over 38 acres, its massive Fort George citadel being defended by seven-foot-thick walls. 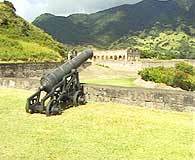 These, however were not always sufficient protection, as in the February of 1782, a French fleet of nearly 50 ships appeared on the horizon off St. Kitt's and Nevis. 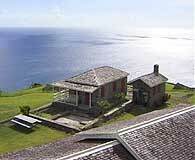 Headed by Admiral Count François de Grasse, whose flagship was the exceptionally imposing 130-gun Ville de Paris, the fleet had been dispatched to force the British from the rich sugar colonies of St. Kitts & Nevis--and that meant dislodging them from Brimstone Hill, otherwise known as The Gibraltar of the West Indies. 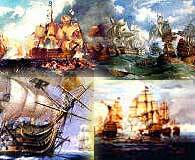 The 8,000-man French siege force, supported by de Grasse's substantial fleet, calmly set to its task. After a month of almost continuous bombardment, and despite staunch resistance by Brimstone's 1,000 British troops, the French succeeded finally in punching 40-foot holes in the citadel's thick walls. Knowing their situation finally to be without hope, the British surrendered. The French siege commander, the Marquis de Bouille, paid tribute to their heroic defence by allowing the British garrison to leave Brimstone Hill as an undefeated force, in full uniform and with standards held aloft. 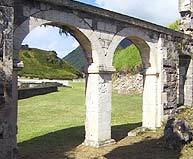 One year later, when the Treaty of Versailles returned St. Kitts to British rule, the same honour was accorded to the French garrison. 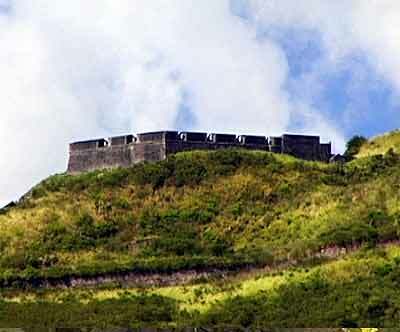 By 1782 Brimstone Hill had been under nearly continuous construction (by slave labour) for almost nine continuous decades, as piece by piece the fortress took shape.